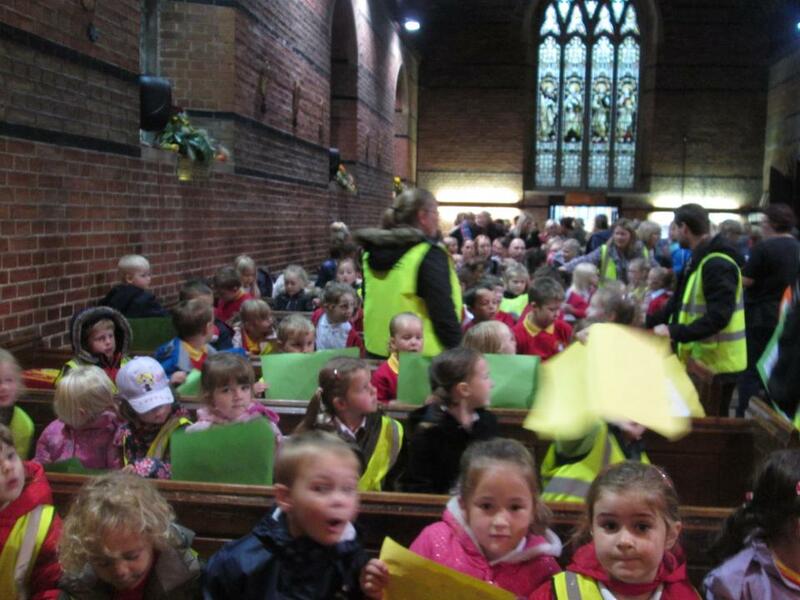 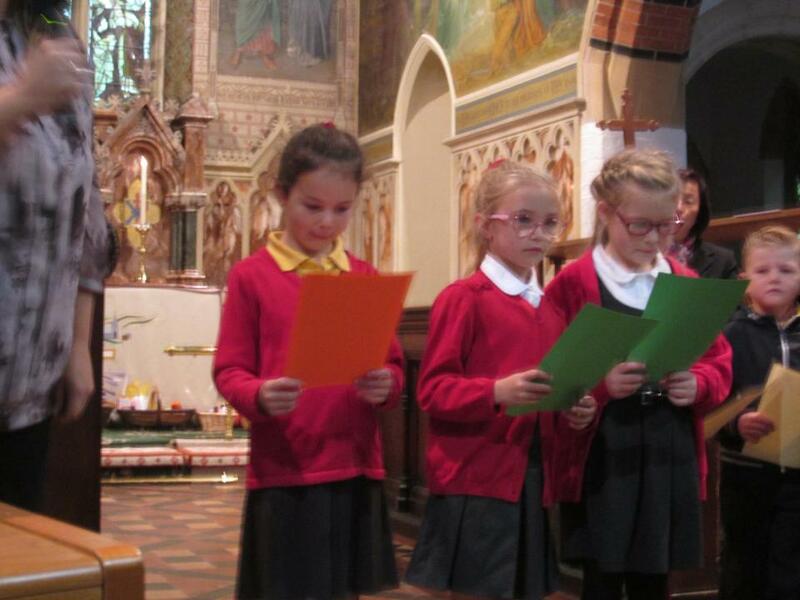 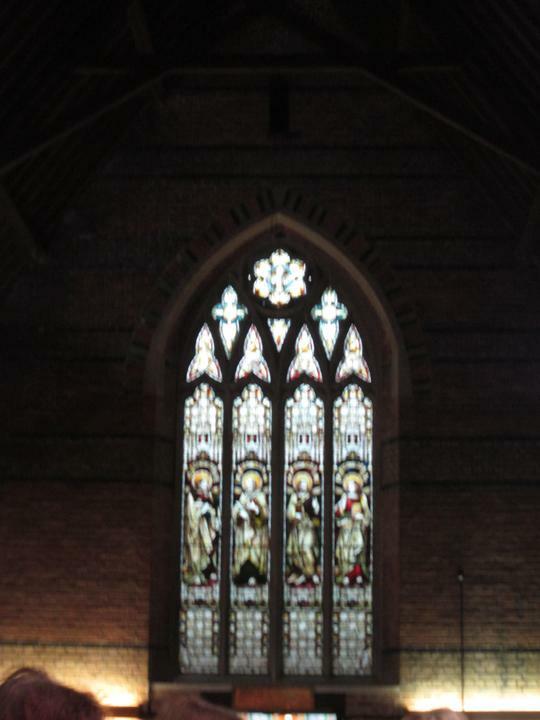 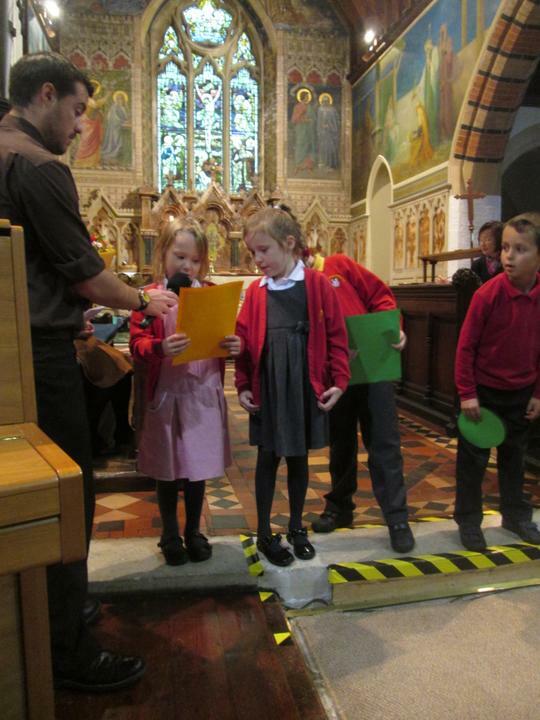 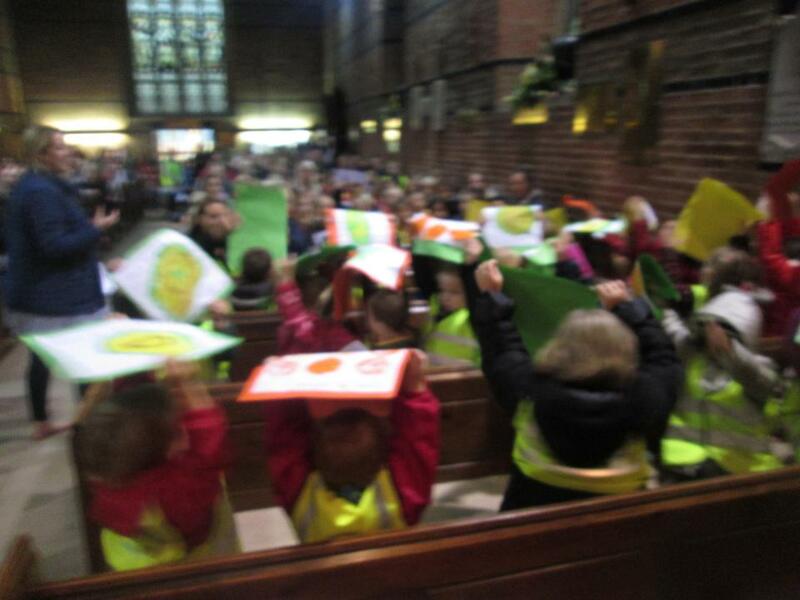 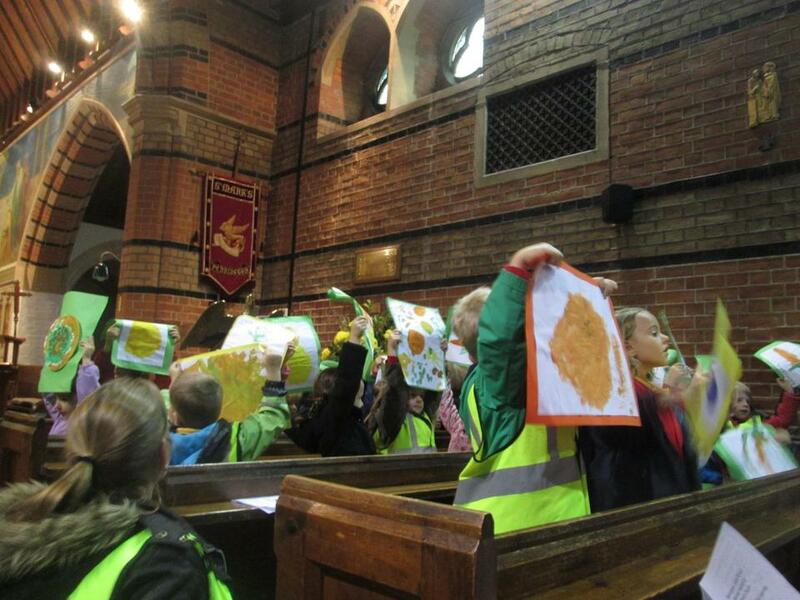 On Monday 5th October the whole school walked to Pennington St Marks Church in the village. 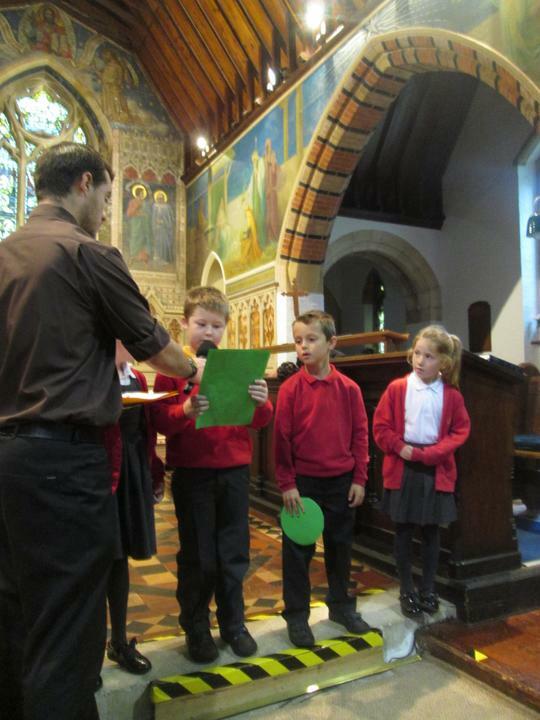 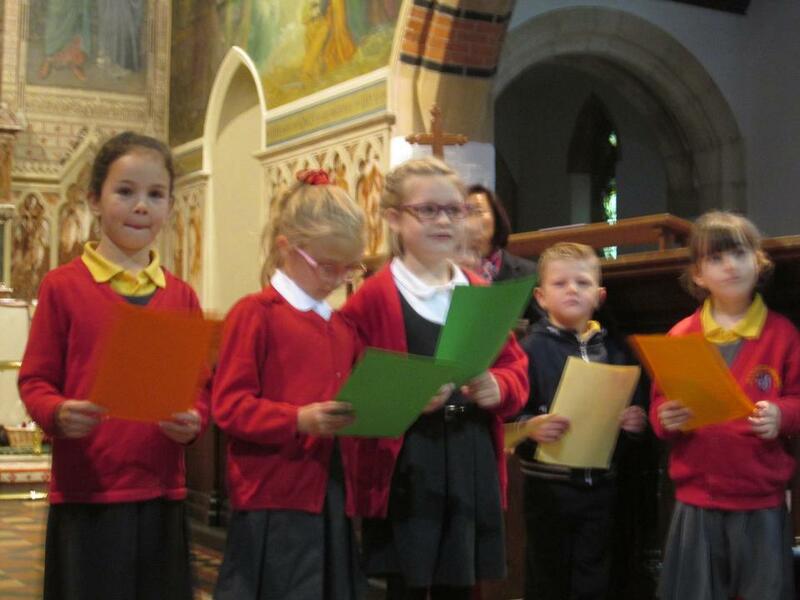 We sang some harvest songs, looked at pictures of fruit and vegetables drawn by Reception children, listened to 'Acrostic Poems' written by Year 2 and heard some prayers written by Year 1. 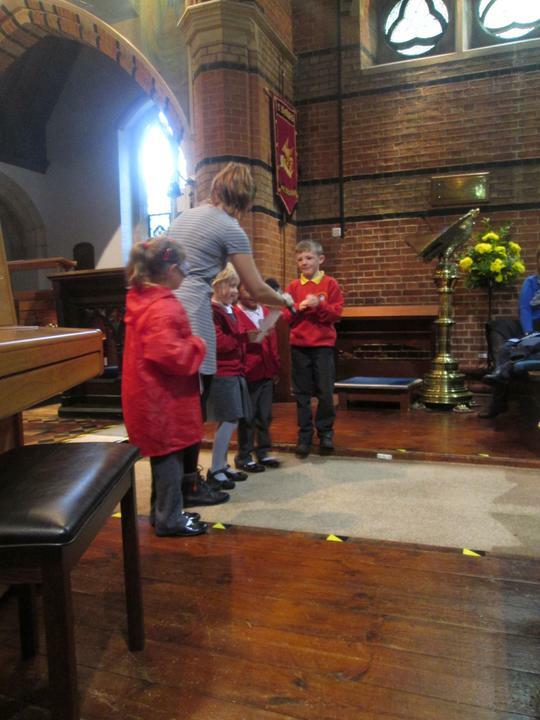 The service ended with a prayer from the vicar. 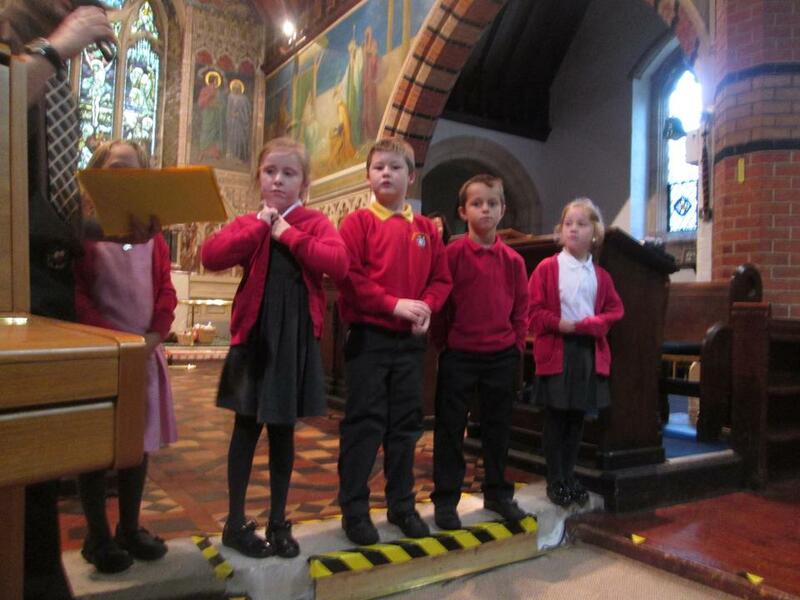 We all had a wonderful time and look forward to going again at Christmas. 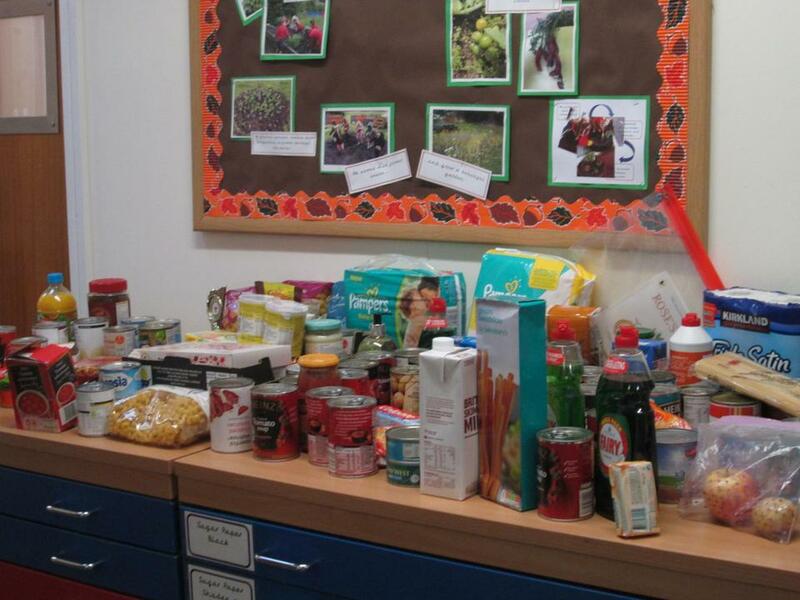 A large quantity of donated goods have been taken to the local ' Food Bank' thank-you.